We're all called to know Jesus and help others to know him wherever we are, and we support a number of people who are doing this in other parts of the world too. Some are in other continents whilst others are in different counties, and they're all in need of our support. They all send individual mail updates for news and prayer support - contact the church office to get connected. As part of the Christ Church Renewed project, we have decided that part of our work in honouring God and transforming communities should be outside of our local community. To this end, we have chosen to support the ‘Change A Nation’ campaign. 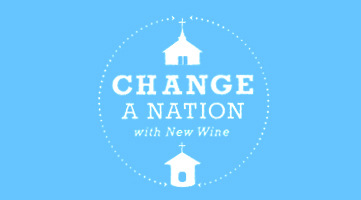 Change a Nation is a partnership between Tearfund and New Wine, working together to see the local church rise up and a nation changed. 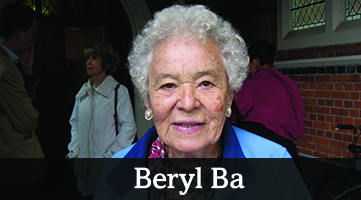 Beryl grew up in Surbiton, attending Emmanuel Tolworth, where she became a Christian. She then came to Christ Church to help set up a Pathfinder group. In 1961, she was called to Senegal to teach the children of English speaking missionaries, and later English in a government school. Since retiring(! ), she has continued to live in Senegal, a predominantly Muslim country. She runs a guest house for Christian workers and friends visiting the capital, Dakar. She is also responsible for the distribution of Bible calendars throughout Senegal. Nat (left) is principal of the Johannesburg Bible College - equipping and inspiring men and women for Bible teaching ministries. Christ Church have supported student bursaries. Many of our students are unable to afford the fees - even as pastors - so as part of making training as accessible as possible we offer substantial bursaries. 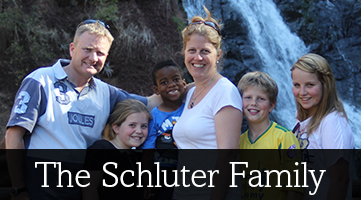 Thank you for your support - it is hugely appreciated, and enables the church here in South Africa.